Wolves loanee Bright Enobakhare could make his Coventry debut in the Sky Bet League One match against AFC Wimbledon after he joined until the end of the season. Liam Kelly's elbow injury is set to keep the midfielder out of action for several weeks. Jodi Jones is out with his second serious knee injury and is unlikely to play again this season. Captain Michael Doyle is fit again and played in the FA Cup defeat to Scunthorpe last week. Deji Oshilaja is expected to return for Wimbledon after missing the FA Cup win at Fleetwood. The defender was a doubt last week but should have recovered from his ankle injury. Ben Purrington has been recalled by Rotherham while goalkeeper Tom King has also returned to parent club Millwall. Joe Pigott (thigh) is still sidelined while new winger Dylan Connolly could feature. 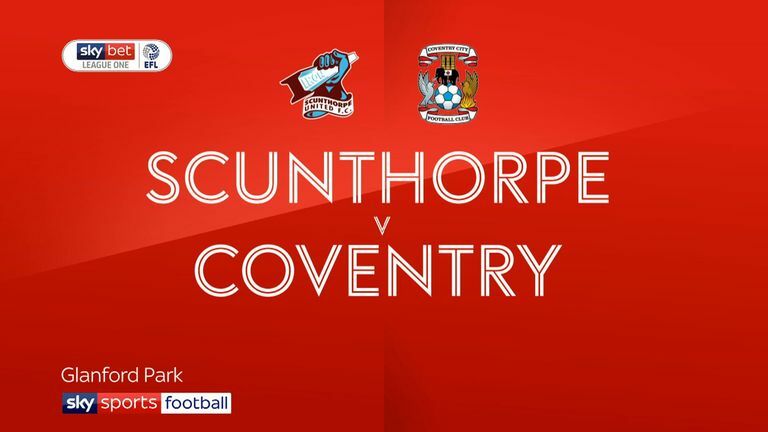 Highlights of the Sky Bet League One match between Scunthorpe and Coventry. Each of the three league encounters between Coventry and AFC Wimbledon have ended in a draw, most recently a 0-0 in August. Coventry and AFC Wimbledon's first meeting came in the FA Cup first round in November 2013, the Sky Blues winning 3-1 at Kingsmeadow. 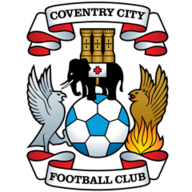 Coventry have won back-to-back home league games, last winning three in a row in January 2018 (five straight wins). 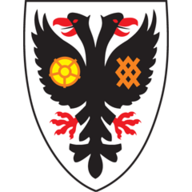 AFC Wimbledon have lost eight of their last nine away league games, winning the other 2-1 at Wycombe in December. Coventry's Ricoh Arena has seen fewer goals (24 - 13 for Coventry, 11 against) than any other ground in League One this season. 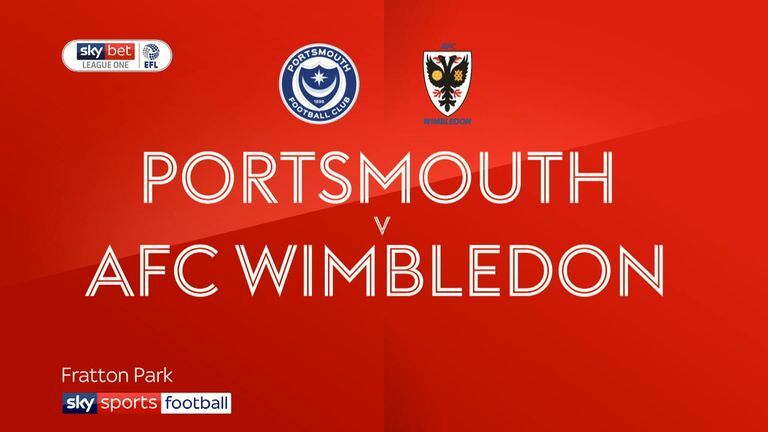 Highlights of the Sky Bet League One match between Portsmouth and AFC Wimbledon.